If you have an empty terrace with no planters this is an exciting time because we can choose the styles you like. The planters, soil (several bags) gravel for drainage and then the plantings (trees, shrubs, flowers etc.) are the biggest investment. Sunny, shade, privacy, the view from inside the home, taking care to not block a special view, color all year, interesting color and the style you like are some things to think about. With a large terrace you can even have a couple of different styles or “rooms”. Dividing the terrace for a secret garden and one area for entertaining or family. Maybe you like to grow some herbs or vegetables too. Drip Irrigation is very important. No way can anyone hand water this and expect to have a nice garden or most times it will not live. Vacation and other things come into question as babysitters never can water how you water. 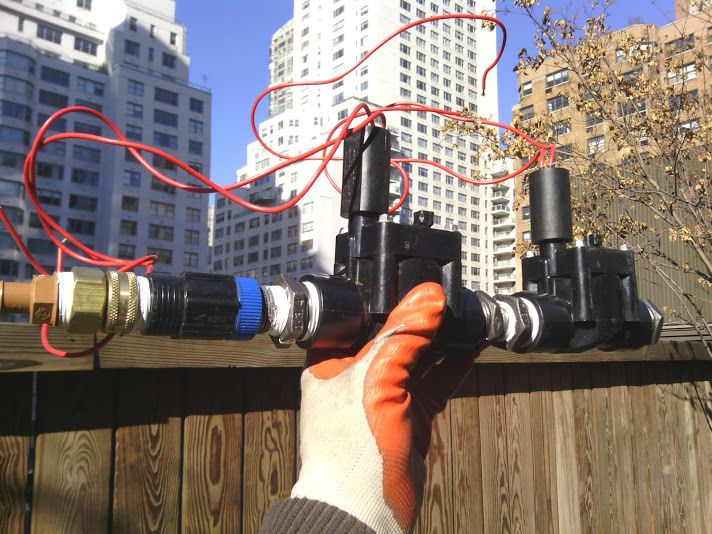 New York Plantings Irrigation and Landscape Lighting have many yrs of exp with automated drip irrigation installation in NYC and Long island area. Lighting in the taller trees is good too to creating a warm inviting feeling like a lounge or park like feelings. The corners can have large planters and trees. Corners are always wasted space and the best opportunity to add focal points and you can afford more space in corners of your terrace or rooftop garden. Consider at least 3 large trees and with large terrace a simple hedge is good. Against the walls is sheltered and we can even have some climbing roses, FIG trees and other delightful plantings. Making a plan: we can make a top down view on paper so that you know exactly what you are getting. 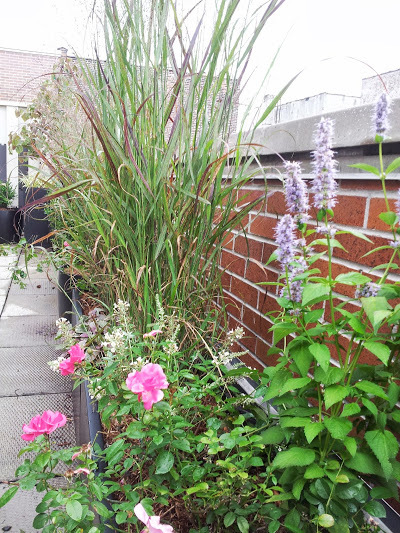 Choosing a company: New York Plantings is a small company with tight quality control supporting highly knowledgeable people who built terrace gardens, landscapes and rooftop gardens, penthouse gardens all day, every day, year round. NY Plantings has a separate drip irrigation company to install your drip irrigation system that will work reliably and properly. 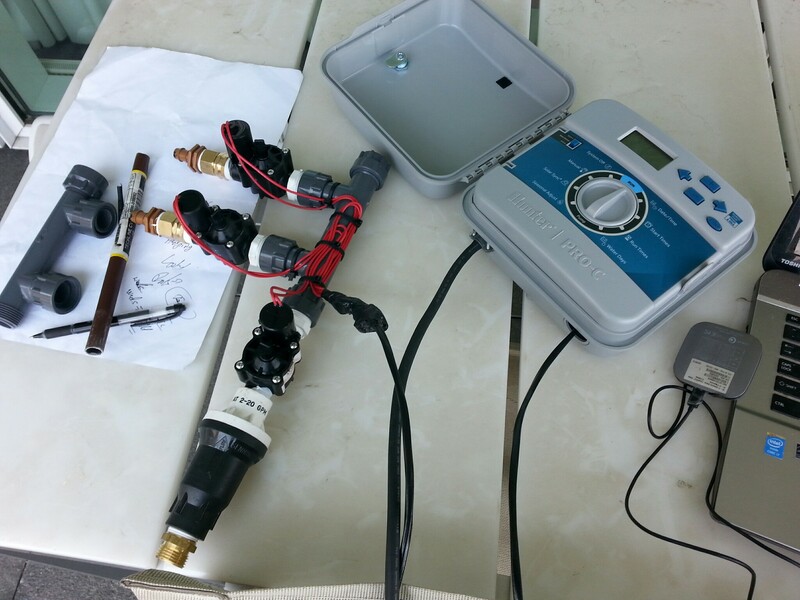 The system is made to use very little water while keeping the garden you invested in healthy and strong for the winter. A terrace is a hard place for plants to live but a master gardener with specific experience can provide you with what you need for a LOW Maintenance garden with plantings proven to thrive in our environment. It’s going to be a wheelie good IPE planter box.By New York Plantings Garden Designers and Landscape Contractors NYC ‪#‎newyorkplantings. 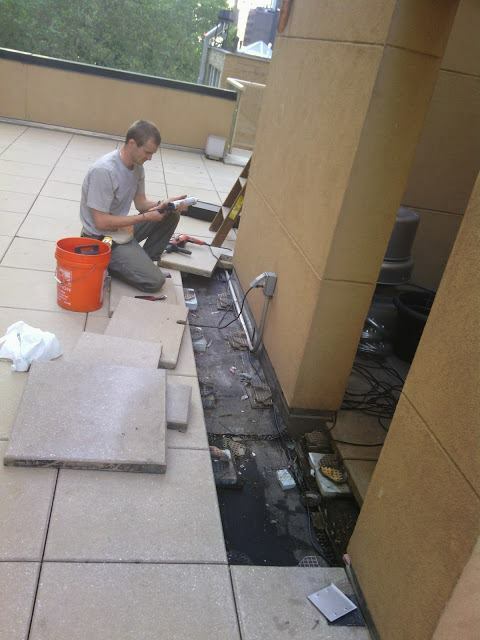 When building custom planter boxes with casters or wheels planter boxes with wheels need to have reinforced mounting pads or else they will just fall apart like most things the people in New York City built. Special Edition custom planter boxes using to buy 10 pressure treated lumber and a frameless design with hidden fasteners. These planters are even stronger without a frame due to the fact that we used long screws that run from the centre of the board using a special jig. 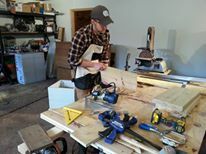 It takes an enthusiast and someone who has a love for woodwork and making things with their hands to create something unique and durable. If you want to buy planter boxes one time and not have to buy them every few years you can come to New York plantings garden designers and landscape contracting NYC. We use real solid wood and screws that are made for outdoor use. No brads or staples holding together thin wobbly planter boxes. 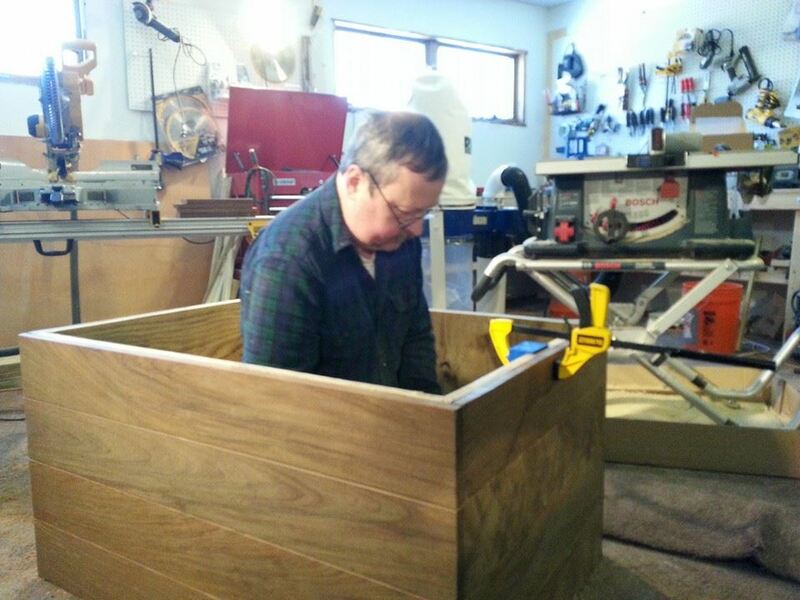 The custom made woodplanter box photos in this post show only part of the process. Each board is trimmed two equal width planed and shaved to the same thickness and to perfection so when the boards are joined together there are no gaps and a nice tight fit that nearly holds itself together without fasteners. It’s almost a shame that we have to paint these for a restaurant in Rockefeller Centre because a light coat of stain would look beautiful! The newest addition to the New York plantings garden designers and landscape construction custom built planter and planter box shop! 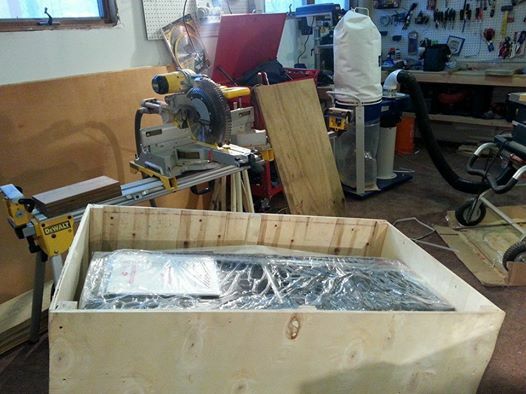 But grizzly 10 inch jointer is going to make our boards nice and flat….. Nothing like good straight hardwood! Custom built planters who would have think it? I just wish that when I got a wooden crate that there was a motorcycle inside! Long clamps on a 42 inch rectangular custom planter box built for marine ply liner with IPE Brazilian hardwood fascia. We will give this a rubberized membrane liner and a 4 inch IPE top cap. 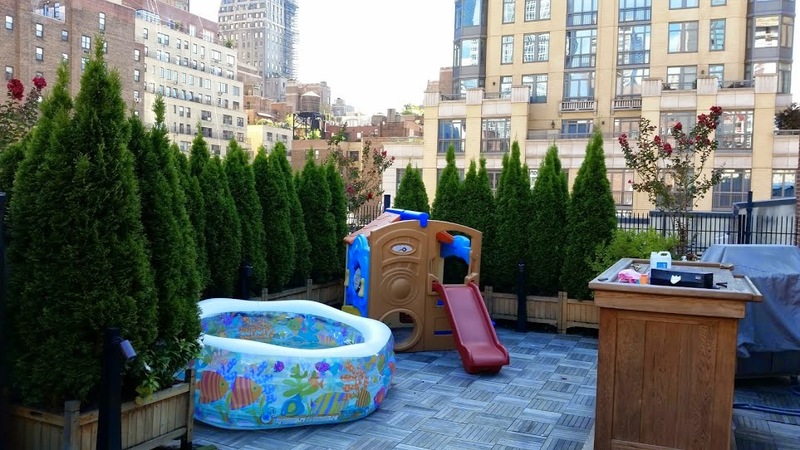 This is for a townhouse Garden in New York City. Don’t buy Kmart planters for your 10 million dollar house. 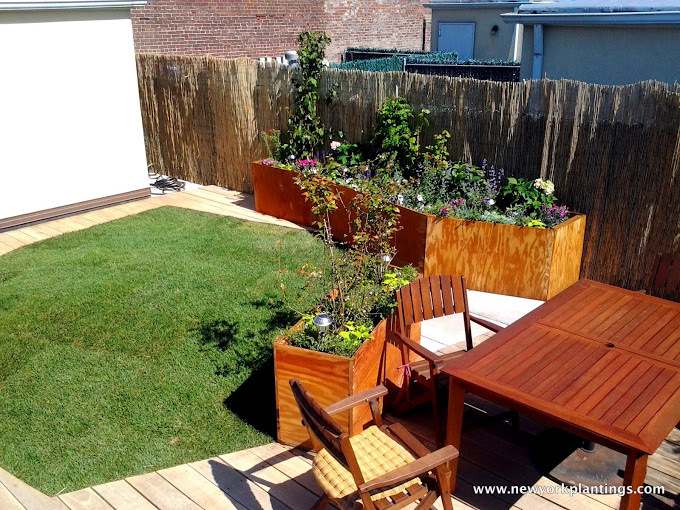 New Yorkplantings garden design and landscape construction builds custom planter boxes. 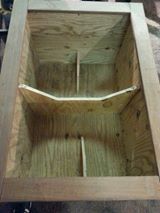 Custom IPE planter Thank you for checking out my post. Know more about High performance planters! midday sun in Summer. Metal becomes hot quickly and the rapid heating of the soil would likely cause some unfavorable conditions for root growth. Maybe foam board holds a bit of moisture too even though they claim it is closed cell. In winter the insulating properties of foam board cannot hurt since the planter is not as favorable an environment as the ground. 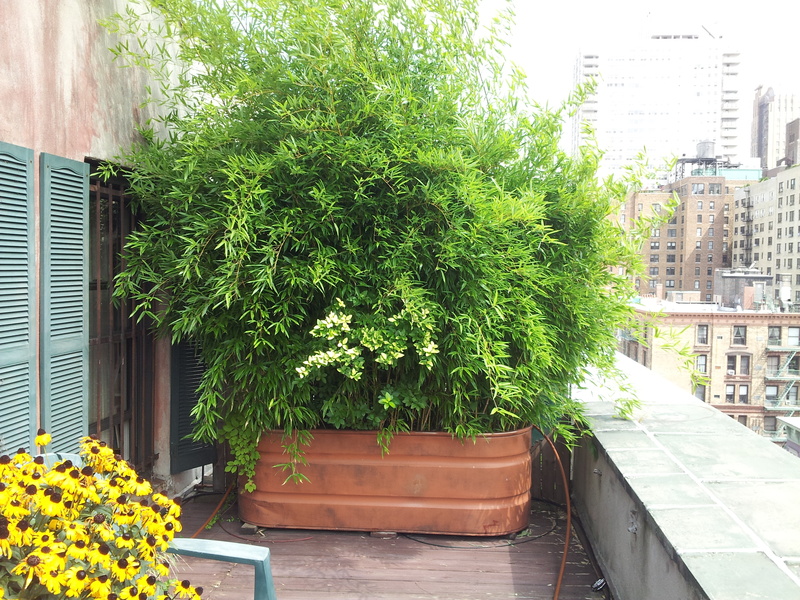 Plantings that are rated to survive at -20 degrees F. or colder still do not survive much more mild NYC winters in planters than they could survive in the ground. (Even if they have moisture). 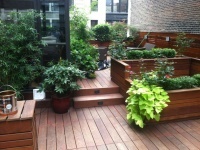 New York Plantings is the best planter provider and roof top gardening service provider in NYC. perhaps we can use some. There is a new drainage filter that looks like air conditioner filters that reduces weight by replacing gravel in planters. Perhaps you already know of this.